Finally my dream come true, I have designed lampshade-people for the Magic Flute. 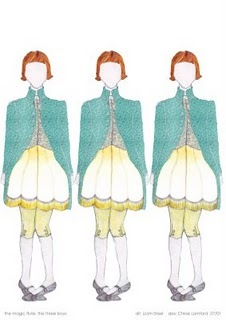 This is the design for The Three Boys (sneak preview, we have not yet gone into rehearsal) and their lampshade-skirts will light up. Fun.